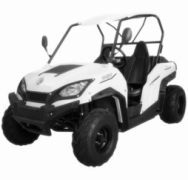 The HTU-200 UTV is a very compact and lightweight run about. 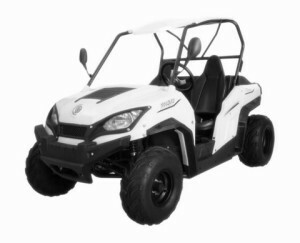 The HTU-200 is a 2 wheel drive model with a 200cc engine and good value for money. Mindful of OH&S requirements, the HTU-200 has a full roll cage, net doors and safety belts ensuring protection in the cab.